When I first woke up, one of the first things I saw on the internet was that AC: Pocket Camp was actually available to play in Australia on both iOS and Android. I knew that, within a few hours, there would be some workaround which would allow players from everywhere to try the game out and I was right. Though I am usually quite conservative when it comes to sideloading apps onto my phone, for Animal Crossing, I made an exception. So here are my first impressions of the undeniably adorable, Animal Crossing: Pocket Camp. As I sit here trying to write this post, I find myself at a loss. I want to write about how incredible a game AC: Pocket Camp is. How it, truly, is Animal Crossing on my phone and how incredible that is. But, I've started writing this several times and it just hasn't stuck. That's because, none of those things are true, strictly speaking. AC: Pocket Camp is designed to feel like Animal Crossing. Returning fans will find familiar music, the same art style, and heaps of familiar clothes and furniture. Even the traditional Animal Crossing activities such as fishing and bug catching are present in a, relatively, loyal rendition but, something simply feels off. More than the traditional Animal Crossing titles, AC: Pocket Camp feels much like Animal Crossing: Happy Home Designer and I'm not sure if that's a good thing. For background, Animal Crossing: Happy Home Designer has a 66% on Metacritic, and is the title which was received the worst in Animal Crossing series in the fifteen years it's been around. Mostly the reception had much to do with what Animal Crossing: Happy Home Designer was not, rather than what it was. 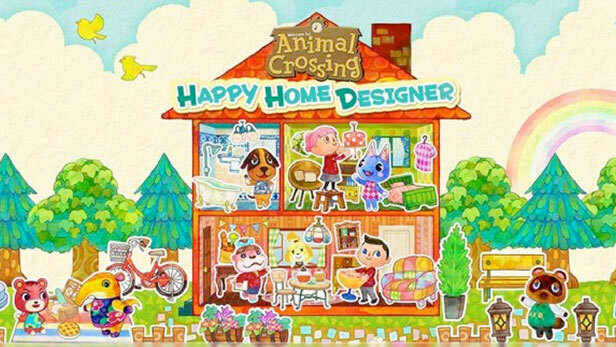 Unlike in standard Animal Crossing games, Happy Home Designer had players decorating different spaces in order to please a client. There was no character customizing, catching bugs, talking to neighbors, or owning your own house. It wasn't a horrible game. I had fun playing it but, I couldn't keep my judgment of the title as an Animal Crossing game out of my mind, and by that criteria, it was rather disappointing. That's what Animal Crossing: Pocket Camp Feels like. In the game, you play as the manager of a campsite with the goal of getting animal crossing characters to visit your site. You do this, primarily, by collecting different items, and completing villager requests by giving them those items. Eventually they become your friend and then, to get them to visit your campsite you must build a few of their favorite pieces of furniture and (God forgive me) if you build it, they will come. It's an okay set of mechanics but, ultimately, in Animal Crossing, part of the joy of the game is owning things. 99% of Animal Crossing is decorating your home and from the best of my knowledge, Pocket Camp has no interior spaces to decorate whatsoever. While perhaps, that shouldn't matter, considering, the game is still plenty fun but, I find myself wondering what, other than it's visual and audio language, what makes this specifically Animal Crossing, and not something else. As for the actual gameplay, Animal Crossing: Pocket Camp runs fine on my Droid Turbo 2. It looks and sounds as good as every Animal Crossing has and I'm deeply appreciative of the call backs to the game's predecessors such as, the real time day/night cycles and the memorable doodads I can stick on my campsite. Because, I was only trying the game out, and because I can't actually buy iap, my experience with how bad the free to play money grab is but, so far, resources have been relatively plentiful, especially bells, fish and bugs. As for fruit, there is a fixed amount you can get from any one area and then the tree will go on cool down, unless you use some premium fertilizer to hasten things along. But, it feels fair enough.